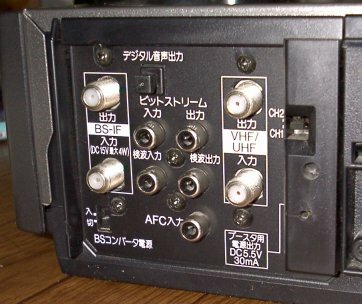 By the way, it is like a ghost reduction tuner suppor input 3 is a decoder for WOWOW originally. Terminal of the tuner-related is concentrated. It is a quite busy terminal group. Because, because you have it corresponds to the MUSE-NTSC converter of high-definition.